Camp Y-Koda believes some of the best future counselors are our current campers. The Leaders in Training program at Camp Y-Koda allows the opportunity for our older campers to slowly transition into leadership roles through projects, team building experiences, volunteerism, and assisting lead counselors throughout the camp day. The leadership camps offer a great opportunity for personal growth and wonderful comradery as part of a team. This is a two week leadership development camp for campers interested in becoming counselors someday. The first week will consist of becoming affiliated with the program and the expectations. The focus will be on teamwork, positive character development, problem solving, values, communication and becoming a positive role model. The second week will pick up where week one left off with more character development activities. Subjects for the week emphasize inclusion, community, relationships and project management. The CIT's will also have the opportunity to help out with our younger camper groups to put some of their newly learned skills to work. The program is designed to challenge the teen participants to be positive role models and future leaders at camp, at school and in our community. 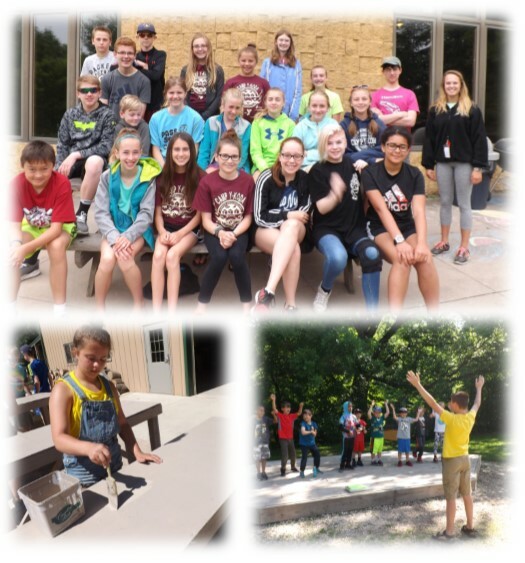 To register for a session, please complete and return the registration forms found in our 2019 Summer Camp Brochure.